On June 16th the official start of the Fellowship Programme 2016 was celebrated with a kick-off ceremony in Het Nieuwe Instituut. At the end of September, halfway through their Fellowship, the four fellows Andrea Bagnato, Simone Niquille, Noam Toran and Füsun Türetken were invited to give a brief update on their research-in-progress. Terra Infecta is an investigation of how infectious diseases (in particular malaria and yellow fever) have influenced historical patterns of inhabitation and land use, especially within colonial environments. In parallel, it studies global anthropogenic transformations (urbanisation, deforestation, resource extraction) in terms of their consequences at the microscopic scale, laying the ground for an epidemiological history of modernity. The Western Guinea region where the 2014 Ebola epidemic began. These infrared satellite images (taken in 1985, 2002, and 2016) show a clear depletion of forest cover (red) and an expansion of towns and villages (light grey). Data: Landsat/USGS. "[…] As author Sonia Shah shows in her recent book Pandemic, tracing the history of an infectious disease reveals that events at the microscopic scale (an infection) are very often correlated with a transformation of the macroscopic spatial conditions (colonization, urbanization, global trade). In more general terms, recent scientific research is providing substance to the argument that geographer Maurice Le Lannou proposed already in 1936 while studying malaria in Southern Europe: that epidemics are sensitive indicators, responses to anthropogenic ecological disruptions. Both ancient and recent epidemics are being linked with abrupt demographic and territorial reconfigurations. Understanding the spatial and political context in which infectious diseases unfold was a central preoccupation of Western medicine in the early twentieth century. […] Today, the unprecedented extent of anthropogenic activity has created the conditions for a new range of epidemics, of which HIV and Ebola are but the most visible occurrences. The necessity of (re)incorporating space, politics and history in tackling epidemic diseases can no longer be ignored." The Contents is a research project in film and writing on digital identity, data ownership, imaging technology and the resulting power structures affecting real bodies. Imaging and capture technology are digitising our bodies at a resolution and frequency never attained before, and this tendency is only accelerating. The question of future identity hinges as much on digitised body data ownership as on the governance of the networked space of appearance. 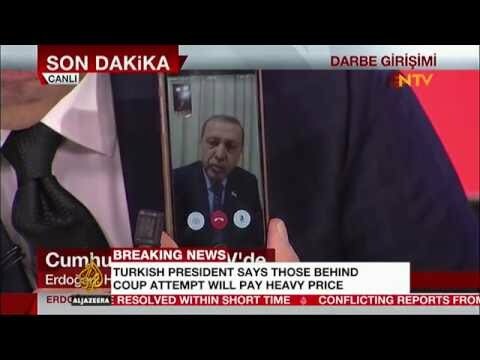 Who controls the narrative, who controls the screens and who owns the avatars? Leonard Nimoy is one of the first actors to get scanned and be replicated digitally in Star Trek IV: The Voyage Home. […] Image: Cinefex 29, 02/1987. "For The Contents film I have been gathering material, capturing footage as well as conducting interviews, which once completed will be released episodically. The episodes feature characters exploring digital identity and its possibility to be worn, represented, multiplied. The episodes are spliced together associations, character studies and technology fact-fiction. Avatars, as science fiction writer Neal Stephenson writes, are ‘people as pieces of software.’ In The Contents, motion capture and 3d scanning technology act as the shell and spirit to these digital bodies. Importantly, once digitized, the two do not have to stem from the same source. A scanned body can be animated (or inhabited) with the motions of a stranger. I have found the analogy of adults dressed up in costumes for the sake of children’s entertainment useful. The costume acts as the outer shell, rendering the stranger inside invisible. Children run to hug the stranger wearing an Elmo costume. 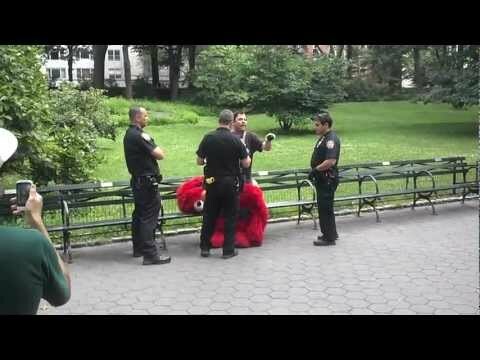 An incident in New York’s Central Park in 2012 revealed one costumed strangers false flag strategy and confused onlookers compassion, he had been arrested in his Elmo costume after yelling racial slurs." Black and White and Red All Over charts a course through the varied forms of political theatre from the first half of the twentieth century. From the Soviet Proletkult theatre of the 1920s to the agitprops of 1930s Europe, through to the socialist, anarchist, and union-run theatre troupes in the Americas and European colonies, the project aims to shed light on some of the dynamic ways in which theatre, through its coalescing of fictional and factual material, has informed, or infected, radical and revolutionary consciousness. "As part of my proposed endeavor to directly translate the research into ‘exhibitable’ materials, I have illustrated my way through Upton Sinclair’s The Jungle and Owen Hatherley’s The Chaplin Machine, drawing out critical details, passages and processes. I have also been watching documentaries on the Chicago stockyards at the turn of the century, and gaining a better understanding of how the Taylorist-dominated American industrial machine became so alluring to the Soviets, who sought (and ultimately failed) to achieve the same kind of output and efficiency while still retaining some measure of worker dignity. Via Hatherley’s book I have dipped back into Walter Benjamin’s writings on ‘the eccentric’ and the eccentric vein in early Soviet avant-garde theatre and cinema. The Eccentrics were heavily influenced by the slapstick comedies and Disney animations of the period, and were effectively attempting to manufacture the new satire for a new social and political system, what Trotsky had brilliantly termed ‘the new stupidity’. This has led me to contemplate, as a conceptual starting point, a satirical adaptation of The Jungle as if produced by Eccentrics, one which turns the stockyards into a grotesque carnival, replete with sideshows, rides, and musical and dance reviews."